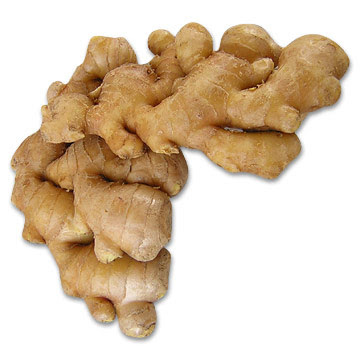 Ginger or ginger root is the rhizome of the plant Zingiber officinale, consumed as a delicacy, medicine, or spice. It lends its name to its genus and family (Zingiberaceae). 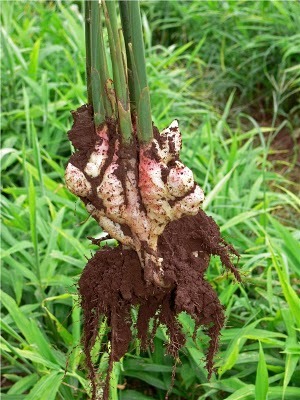 Other notable members of this plant family are turmeric, cardamom, and galangal. Tea- can be used for phlegmy colds and chills. Tincture- for various conditions; to stimulate and warm the circulatory system. Massage Oil – This form of the ginger herb can be used in the treatment of various disorders, for the treatment of lumbago and rheumatism add 5 - 10 drops of the ginger oil in 25 ml of almond oil to make a topical application. The essential oil of the ginger also combines well with the oil of the juniper or the eucalyptus oil and these can be used as well. Oil- Many uses! Arthritis, aching joints, tired muscles, cold feet, cramping, congested breast tissue, etc.